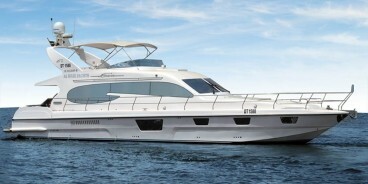 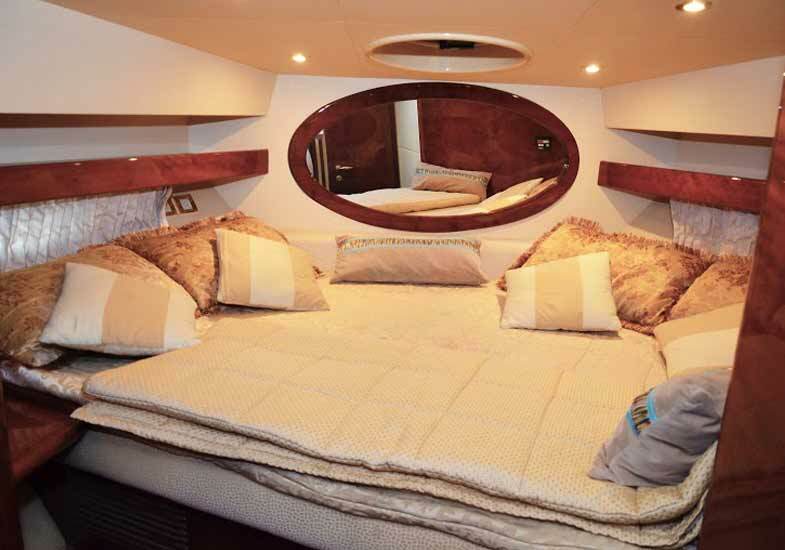 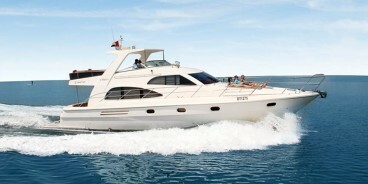 Specification 1 Master & 1 Twin Bedrooms, Saloon, Kitchen, Toilet, Sun Deck and Fly Bridge. 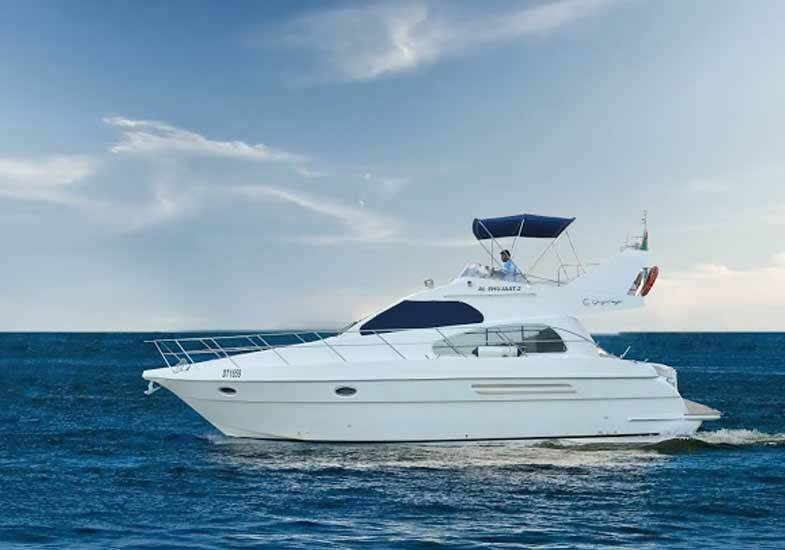 For a smart size family party or a couple for romantic time on the sea, our 42 feet yacht gives you an ideal place to cherish the togetherness of loved ones. 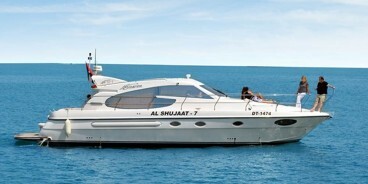 This can carry as many as 14 guests on board. 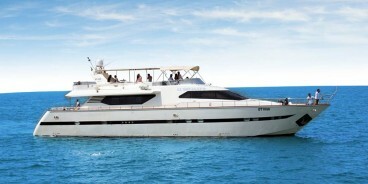 It suits to the celebration of small size families and also the privacy requiring loved-filled time for a couple. 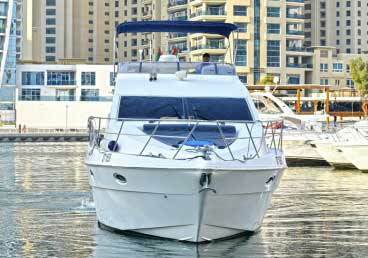 Its attractive design and modern facilities make it a perfect combination as a choice among various. 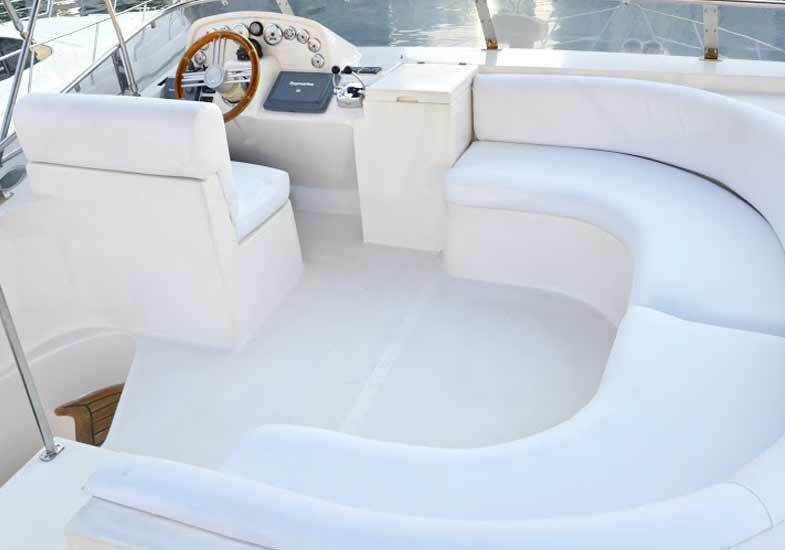 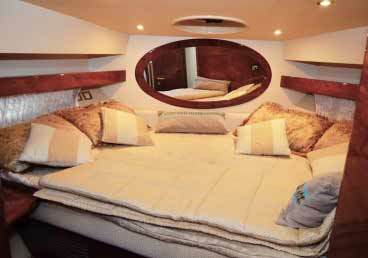 Once you walk in the yacht, you feel the ownership as the captain and crew are very hospitable. 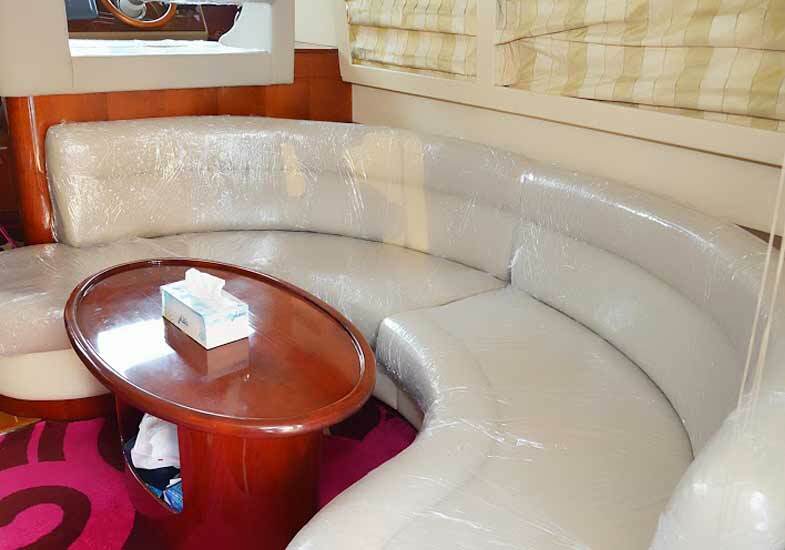 You would be having standard refreshment on board and also if you bring edibles and crew serve it for you. 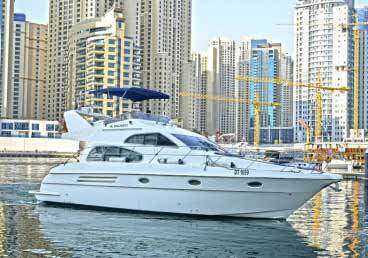 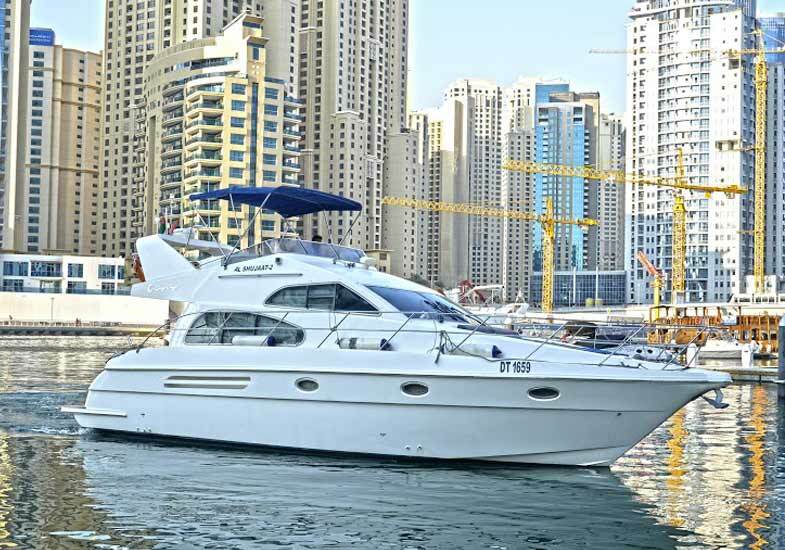 Booked for any number of hours (minimum 2), it starts from the Marina through the lagoon while appraising the skyscrapers along the marina canal you will enter into the Lagoon. 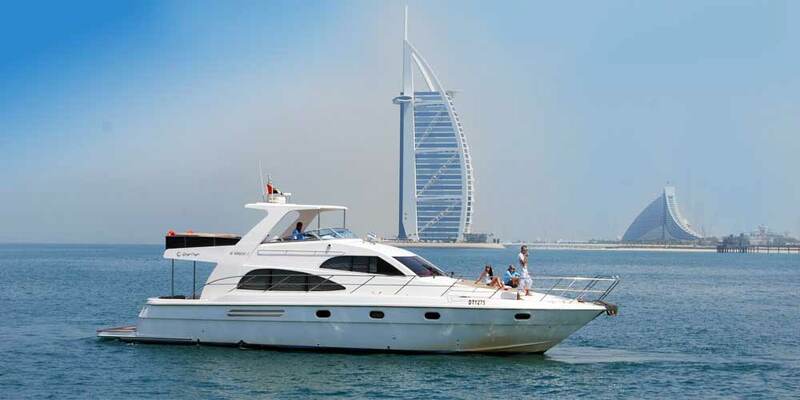 Once you move further you will see the spectacular views of Burj al Alrab, Atlantis The Palm, and many other iconic land marks. 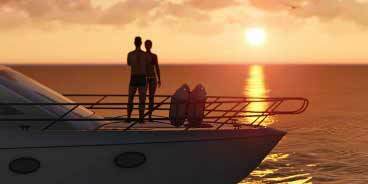 Relax on upper deck in open or do some tanning on sun deck, it is all about you. We serve you to really make your day. 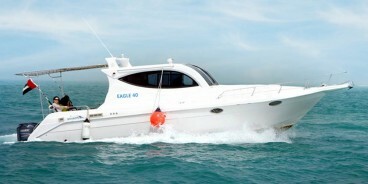 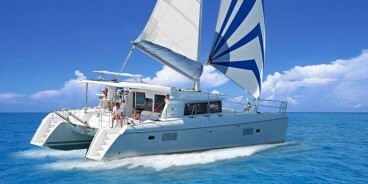 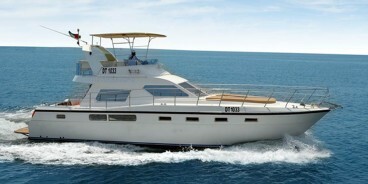 4 hours trip includes the fishing and yacht moves to deeper seas where the fishes are plentiful. 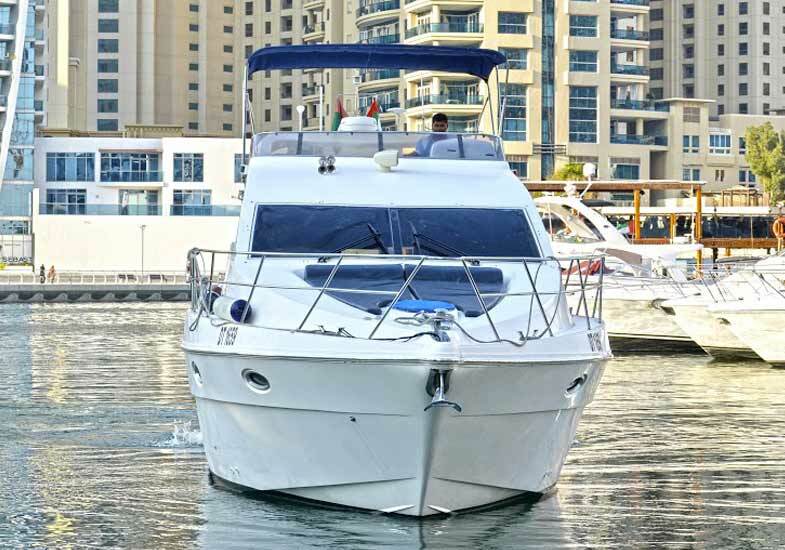 The experienced captain and skilled crew add to the chances of good catch. 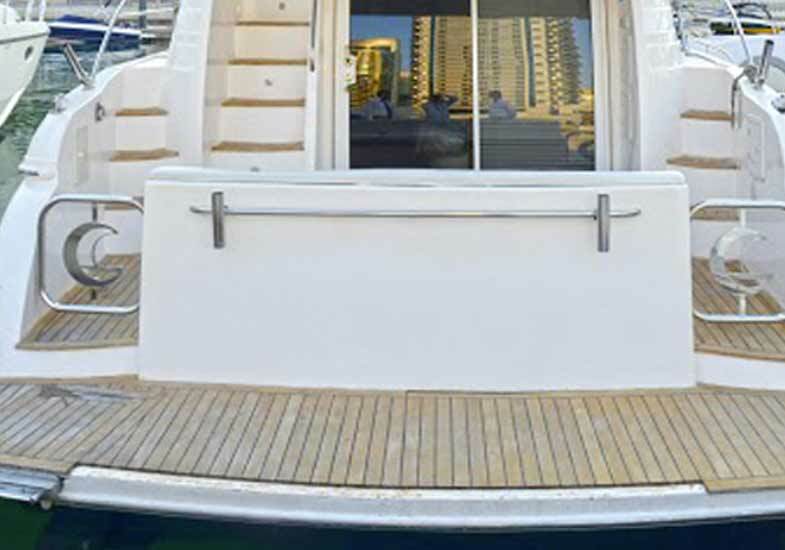 Kitchen and electric grill lets you cook your catch immediately on the yacht for a truly fresh and juicy delicacy. 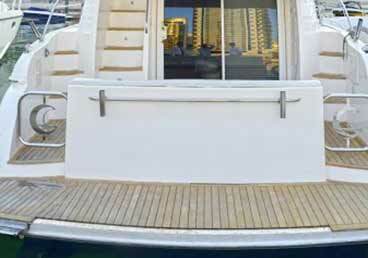 Once you return on dock you have two things to carry with; heart filled with joy and device filled with pictures.